Planning a vacation can be a daunting task. Travel agents have been a valuable resource over the years for a very good reason. Planning a trip to Disney World is a whole other level of planning. These vacations can be a truly magical experience, but only if they are planned out well before you leave. Luckily Disneyworld.com gives you all of the necessary tools to make this as easy as possible. If you have never been to the parks before, you definitely want to find some maps of the parks so that you can make some plans day to day. If you have already been to Disney World, this isn’t new information. The parks are huge, and knowing the location of the rides and experiences on your wish list is so important. The My Disney Experience App is an asset in itself as it works as a park map among many other things! Once you figure out which days you are going to each park (the daily hours for the parks are released far in advance), you should plan out which rides you want to do and which route you want to take around the park. Work your meals in as well. 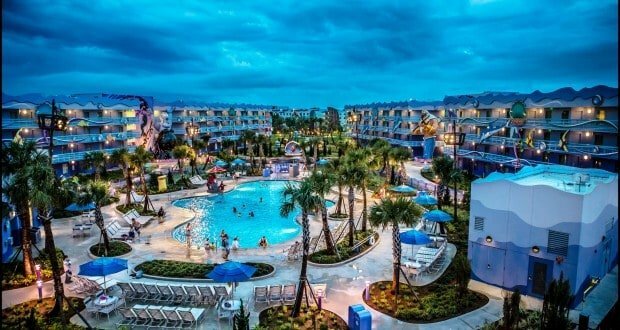 Once you’ve determined which resort you are going to be staying at, determine as well where that resort is in relation to the parks, Disney Springs and other resorts. Figuring out your transportation before you go is going to save you stress and let you actually take some time to relax at your resort when you want to. Some resorts have just buses, while others have boats or even monorail access. Also take a look at your resort to figure out what events they may have, where the pools are and of course what they offer as far as restaurants. Planning quick meals like breakfast at your resort will cut down the time you need to take grabbing a bite in the parks. This is something to take a look at way before you even start planning your vacation. If you want to go during a special event or holiday celebration, planning needs to happen far sooner than at other times of the year. Restaurants book up quickly, parks will be much busier and the package deals – as well as the available rooms – will disappear much more quickly. There are going to be lines in the parks for rides and attractions. Disney gives you an opportunity to limit the amount of time you will have to wait in those lines with FastPass+. You can choose three experiences in advance in a single park each day, and for those attractions you’ll get to bypass the normal line and instead stand in a priority line with a much shorter wait. These will be offered to you 60 days in advance when staying on Disney property (30 days in advance for non-Disney resort guests). Certain rides really do dictate the need for a FastPass, while others you can probably walk on with no problem. The key here is breaking down, park by park, which rides you really want to do. In Hollywood Studios, be sure to grab a FastPass for Slinky Dog Dash. You’ll want a FastPass for Seven Dwarfs Mine Train in Magic Kingdom if you don’t want to wait for a long time. In Epcot, the most popular ride has to be Soarin’ or Frozen. In Animal Kingdom, if you want to ride the incredible Avatar Flight of Passage, make sure it is high on your list for FastPasses. This is a learned experience for me. Too many times I got to Disney World and realized I’d forgotten to pack something, and it cost me an arm and a leg. It’s true that if you wanted to, you really could drop everything and just head to the most magical place on earth. But that comes with a price, as items on site will cost more than you’ll pay at home. Grab that extra phone charger, bring lots of sunscreen, bring some Advil or meds for anything that tends to hit you on a regular basis – basically bring anything and everything that you might need. Bring some snacks so that you can avoid buying snacks every single day in the parks. You may even want to bring some breakfast foods; if you have breakfast in your room at least some days, you can bypass the morning crowds in the restaurants and get right to your plans for the day. This is commonly overlooked during a vacation in Walt Disney World. Every park has a plethora of tours in which you can partake. In Animal Kingdom you can get even closer to the animals while you trek through Africa, and did you know that in Epcot you can swim with dolphins? By far a personal favorite, though, has to be the opportunity in Magic Kingdom to see behind the curtain. You can see what Disney cast members see while getting some incredible insight into the world Walt created. These tours are an extra cost but are well worth it. This is #1 on this list for a very good reason: there are absolutely incredible restaurants in each and every park, as well as at Disney Springs, and of course some of the best could be right in your very own resort. The best and most popular restaurants book up quickly. Thinking you can fly by the seat of your pants and pick a restaurant the same day you want to eat there is just not realistic. To put it in perspective, you can book restaurants 180 days in advance. That’s 6 months. And depending on the time of year, restaurants like Be Our Guest can be completely booked up in minutes. The best tip for booking the restaurant of your dreams is to be online at 6:00 am EST 180 days out from your vacation. Grab at least one time slot, if not a couple, and then decide later which ones you want to keep and which ones you want to get rid of. As long as you cancel your reservation a few days before, you won’t be charged for the cancellation. Whatever your trip involves, make sure it involves a lot of pre-planning, and it is sure to be a dream come true.